Stuart Piper: Criminal Investigations and Adult Safeguarding Training Consultant. Stuart retired as acting Detective Chief Inspector from the West Yorkshire Police in 2011 with over 30 years’ service. He has a wide range of policing experience mainly as a detective dealing with serious, complex, volume and specialist crime matters. Whilst with the West Yorkshire Police he served various communities in both uniform and as a detective. He also held Detective supervisory roles on the Force’s Drug Squad, Fraud Squad and Special Operations Unit managing covert operations throughout the UK and Europe. Stuart was also seconded to the National Crime Squad where he undertook investigations into organised crime groups utilising covert as well as traditional investigative techniques and strategies. He was part of the North of England Special Operations Unit and served for a time as the UK Crime Liaison Officer based in Dublin, Eire. Stuart has been involved in delivering training to police forces, other partnership agencies and community groups. 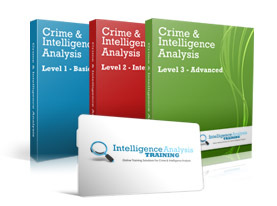 For two years he was based at West Yorkshire Police’s renowned Crime Training Department as the lead Trainer for the Senior Investigating Officers Course, and the Initial Management of Serious Crime Course as well as supervisory responsibility for several other crime investigation courses and programmes. He also led a project team which brought the HYDRA immersive training system to West Yorkshire. He then developed a HYDRA exercise to train a variety of roles in child abduction which he has delivered to numerous West Yorkshire staff and other forces. In 2009, Stuart created a new Safeguarding Unit in Leeds, establishing its structure, staff, policies and relationships with partners in order to improve the services provided to the victims of domestic abuse and vulnerable adult abuse. He was a member of the Leeds Adult Safeguarding Board and worked on a number of sub-committees and provided training internally and externally on Safeguarding Adults particularly Disability Hate Crime. Since retirement he has maintained his training development providing training to West Yorkshire Police Homicide and Major Enquiry teams on Child Sexual Exploitation, to the new ‘Safeguarding Course’ on Vulnerable Adult Abuse and to Detective Inspectors and Senior Investigating Officers on Kidnap and Extortion. He graduated from Huddersfield University in November 2012 with a Certificate of Education and continues his development as a part time student at Wakefield College. He is currently delivering the National Detective Inspectors course on behalf of the West Yorkshire Police as a consultant and is developing the ‘new’ Detective Inspectors Development Programme course which he will deliver in January 2013.